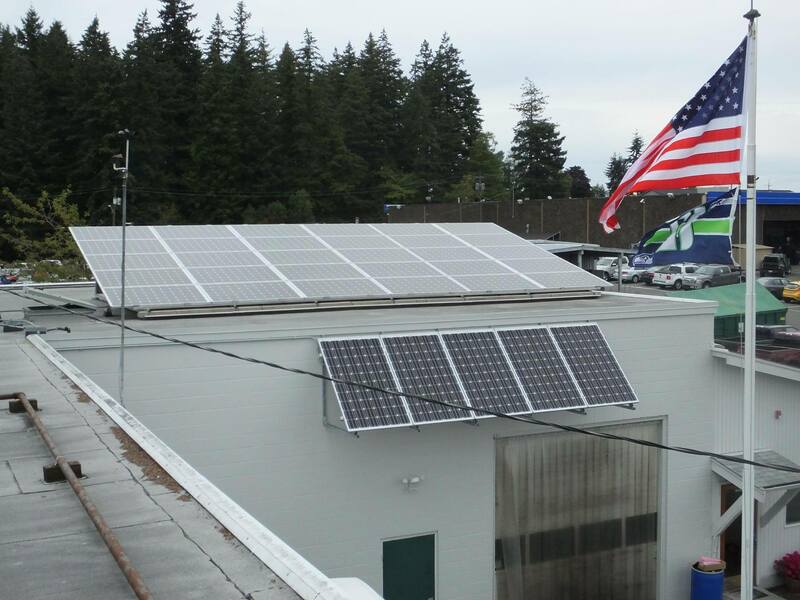 Work Opportunities’ Lynnwood Center is now capturing sunlight and using it to generate power, thanks to a grant from Snohomish County PUD‘s Planet Power project. The centerpiece of this $40,000 project involved the installation of 35 – 280 Watt solar panels (by Artisan Electric Inc) on the roof and south-facing wall near the center’s entrance. The system will generate 9.8 kW (9800 Watts) of power. A display in the front office of the building graphically tracks building electricity usage vs. power generated, calculating in real time the dollars saved at current rates. The information available through this display will not only demonstrate the power being generated by the solar installation but will also heighten Work Opportunities’ awareness of energy use, allowing us to immediately know the effectiveness of electricity conservation efforts. If you hear us talking about it a lot in the future, it’s for a reason (besides just bragging). One of Planet Power’s big goals is to inform the public of the benefits of solar power, and Work Opportunities has been enlisted to help with that effort. We are pleased and proud of this project, and besides the installation just looking very cool, we look forward to lower electrical bills.